This guide is for the Atari 8-bit game. For the NES game, see Crime Busters. 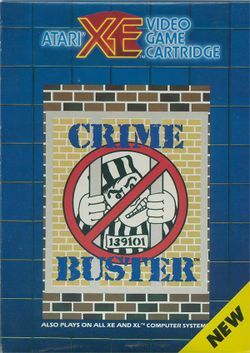 Crime Buster is a light gun shooter game developed for several Atari 8-bit consoles (400/800 and XE series). It requires the XG-1 light gun and 256 kB of expanded memory to play. This page was last edited on 25 September 2009, at 20:56.